A nice means of travel. Congrats! Bikes … more bikes … bikes … bikes !!!! Great image, Chris. I’m so glad we got to Amsterdam as we did, even if the weather was a bit all over the place .. perfect timing for all the flowers. You never know what time is best, it all depends on the temperature and weather. A few years ago all was not coming up because of the low temp. Glad you had the right timing! I know … I nearly missed the cherry blossoms in Japan, 2 years ago. Had a brilliant time, easy to like Amsterdam. Will go back .. again. 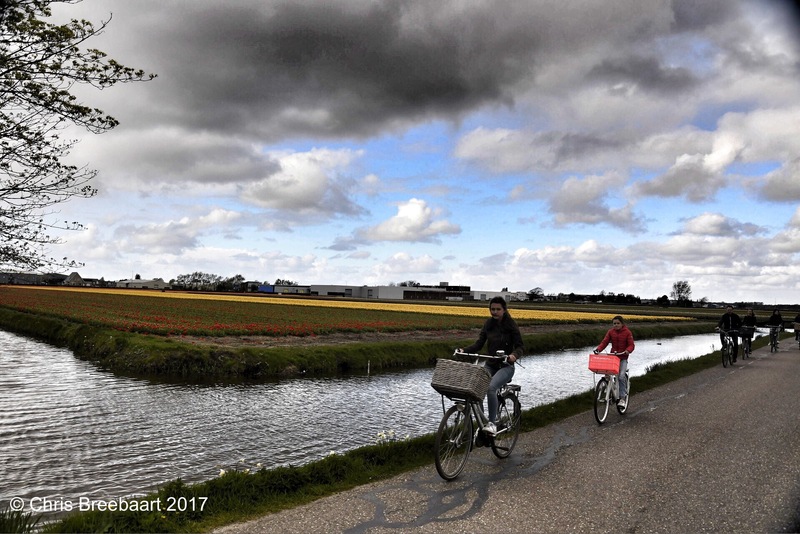 Flat Netherlands is pefect for biking – as I prefer mountains I stick to my two legs 😀 Great shot! This is one the places I want to visit very much, and the places around the Himalayas!! Good choice for this challenge, Chris.